Session in Pre – Ph.D. course at Kalina, University of Mumbai on Tools and Techniques of Data Collection. Two days workshop on Research Methodology at MES’s Research Forum at Dr. K. M. Vasudevan Pillai Campus, New Panvel (E). 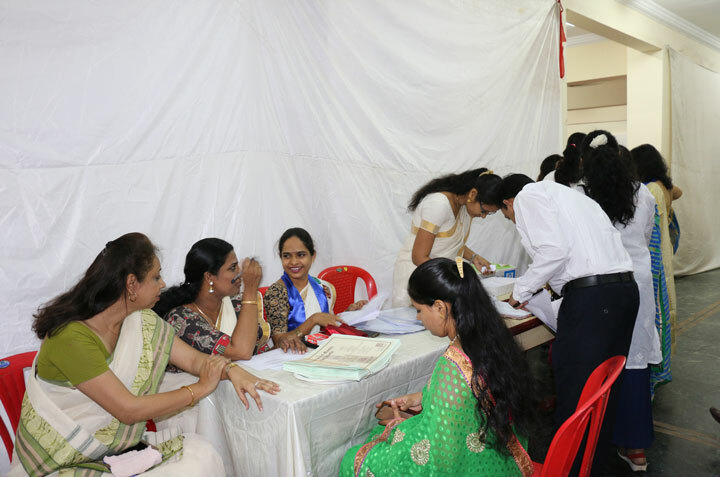 Panel Member at Ph.D. admission Interview Panel at Pillai College of Education and Research, New Panvel (W). Session on Insights in to Basics of Research and Descriptive Data Analysis at Pillai College of Education and Research, Chembur in the workshop on Research Methodology in Education in collaboration with ICSSR. Paper Setter at M.Ed. and M.A. (Edu. ), University of Mumbai. Chairperson at MES’s Research Forum’s Paper Presentation Session at Dr. K. M. Vasudevan Pillai Campus, New Panvel (E). 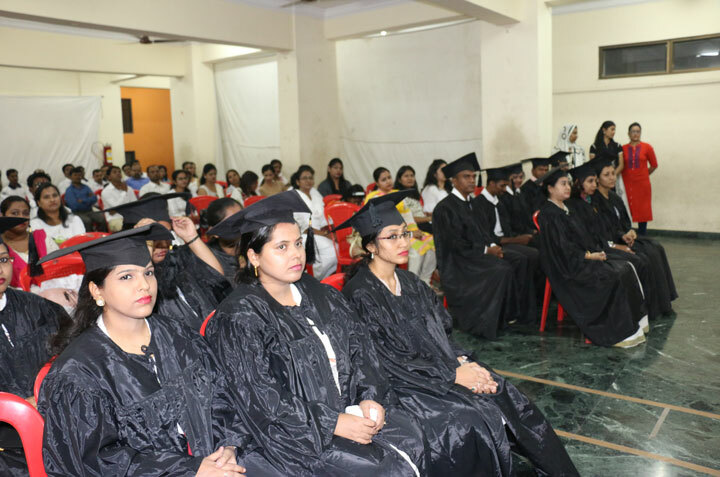 Sessions in Pre – Ph.D. course at Pillai College of Education and Research, Chembur on Case Study and Mixed Method Designs. Participated and presented a paper on “Learn with the World and not just about the World” at 3 Days International Conference on Perspectives in Higher Education: Alternatives in the Context of Globalization at Kalina, University of Mumbai. Chairperson at International Conference on Perspectives in Higher Education: Alternatives in the Context of Globalization at Kalina, University of Mumbai. Conducted a session on Orientation to Basics of Research to IB students and Teachers of Dr. Pillai Global Academy, New Panvel. Conducted 2 sessions on Tools and Techniques of Research and Stages of Construction of a Research Tool and Hypothesis Formulation and Testing at H. J. College ICSSR Sponsored Workshop on Educational Research in Social Sciences. 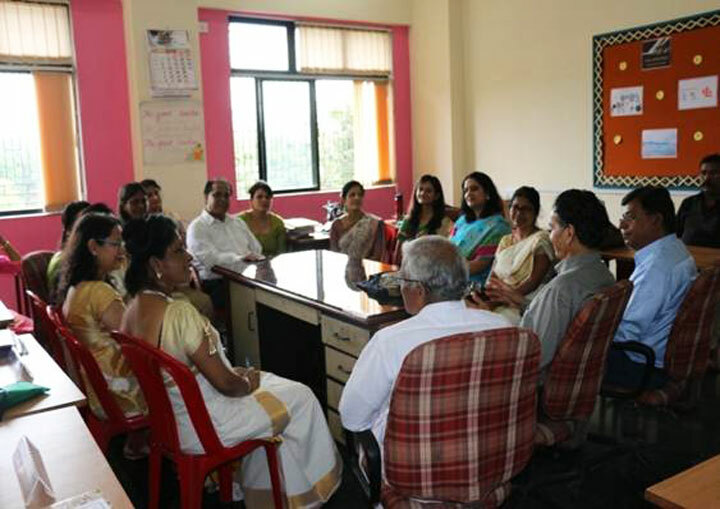 Conducted a Workshop on the conduct of ‘A’ Level Cambridge Examination at Dr. Pillai Global Academy, Gorai for the senior faculty members on the 3rd October, 2013. Attended Three Days Workshop on ‘A’ Level English Language teaching by University of Cambridge, U. K. at Rustomji International School, Dahisar in the month of November 2013. Attended Two Days UGC sponsored National Seminar organized by Gandhi Sikshan Bhavan College of Education, Juhu, Mumbai on 30th and 31st January, 2014. Presented a Paper on the “Role of Religion in Peace Making” on this occasion. 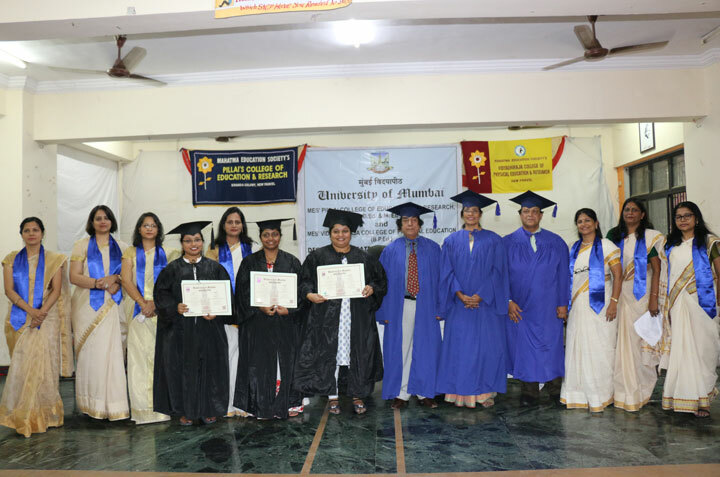 Participated and presented a Paper on the UGC sponsored National Seminar ‘Academic Excellence – Current Challenges’ on 8th February, 2014 at Sree Narayana Guru College of Education in Chembur, Mumbai. Presented a Paper on ‘Innovative tools in teaching’ and it was published in their Journal. Published paper with the title ‘Effectiveness of Concept Attainment Model in Teaching Concepts in Biology at Higher Secondary Level’ Pillai Journal of Educational Research and Technology, October – December 2013, Vol. 2, No. 4. Attended and participated in a three – day International Seminar on “Perspectives in Higher Education: Alternatives in the Context of Globalization” and presented a paper with the title ‘Becoming Reflective: A Need for Excellence in Teacher Preparation’ at University of Mumbai from 8th to 10th January, 2014. 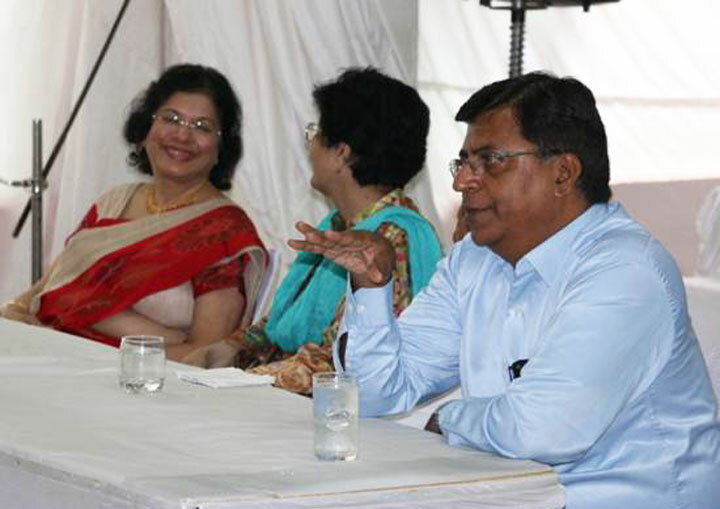 Shared her expertise as a resource person on “Teacher Effectiveness” at St. Michael’s School, Mumbai on 25th June, 2011. Conducted an interactive session on “Work Culture” and “Teacher Effectiveness” for B.Ed. and M.Ed. 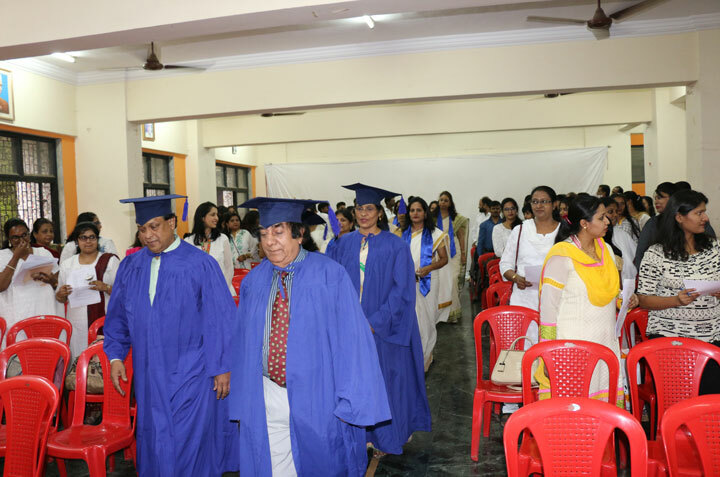 staff at Pillai College of Education and Research, New Panvel on 3rd July and 4th August, 2011 respectively. 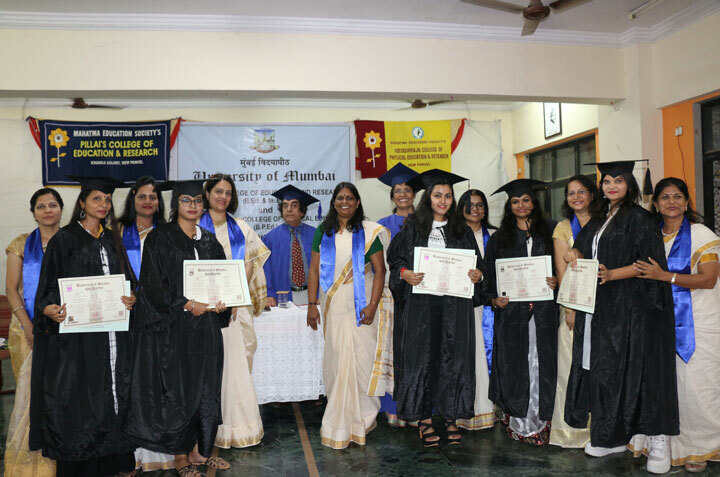 Shared her expertise as a resource person on “Innovative Teaching and Learning Strategies” at the National Level Seminar at St. Teresa’s Institute of Education, Mumbai on 18th July, 2011. Resource person for “Quality Management” at the refresher course in Education, at the Dept. of Education, University of Mumbai. Core-committee member for revising paper on “Educational Psychology” and “Research Methodology” for M.Ed., University of Mumbai. Presented a paper on “Evaluation Reform” at the International Conference at Lucknow on 18th and 19th June, 2011. Presented a paper on “Use of life skills to student teachers” at the International Conference organized by Rajiv Gandhi National Institute of Youth Development from 22nd to 25th November, 2011. 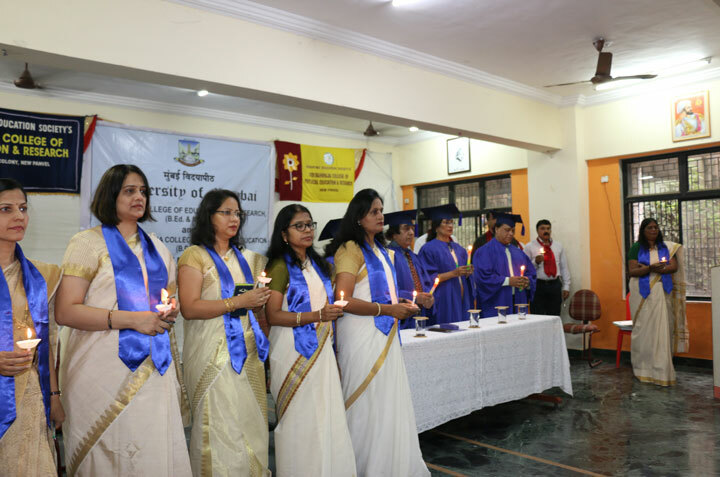 Attended Orientation Programme organized by UGC Academic Staff College from 1st to 29th November, 2011 at the University of Mumbai. 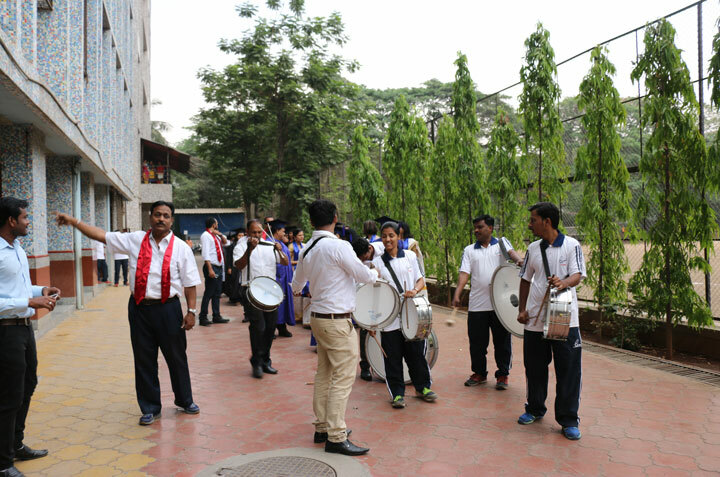 Attended a workshop organized by South Asian International Schools Association at Singapore International School at Dahisar, Mumbai during the month of June 2011. Participated in a Seminar Conducted by Dr. Howard Gardner, the author of the book ‘Multiple Intelligence’ at the American School in Mumbai on 31st January, 2012. Conducted a workshop for teachers on writing ‘Research Paper’ and the Extended Essay at Dr. Pillai Global Academy, Gorai on 23rd July, 2011. Attended the Refresher Course in Education from 22nd June to 12th July, 2011 organized by UGC Academic Staff College, Guru Nanak Dev University, Amritsar. Attended and participated in the one day International workshop on “Creative approaches for teaching English and History” organized by Gurunanak College of Education and Research, Bhandup on 14th September. Attended and participated in the two day National Seminar on “Empowerment of Teachers: A Practical Solution” organized by H. B. B. Ed. College, Vashi, on 24th and 25th January, 2012. Coordinator for the National Level Seminar on Human Resource Management organised by Pillai College of Education and Research, New Panvel on 4th and 5th April, 2012. Conducted SWOT analysis for faculty members H. J. 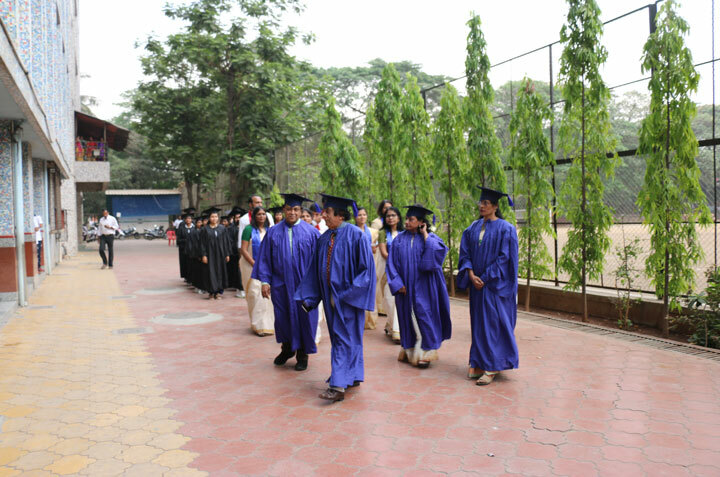 College of Education, Mumbai on 13th April, 2010. Conducted a session on ‘Descriptive and Experimental Research’ in the workshop on Research Methodology at H. J. 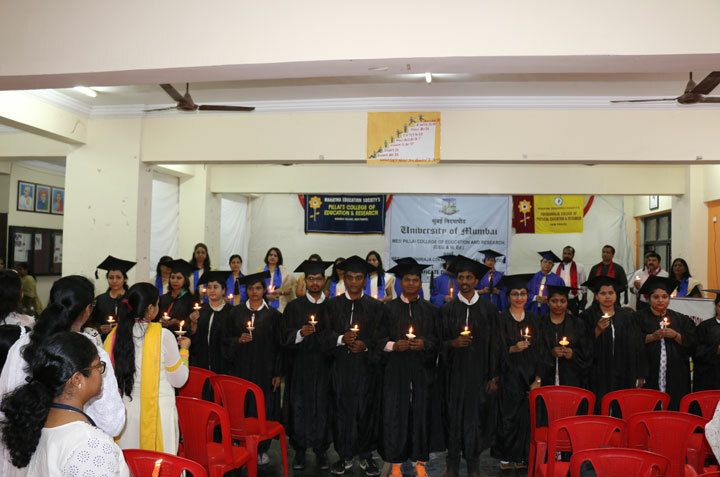 College of Education, Mumbai on 19th April 2010. Conducted a session on ‘Morality in conducting educational research’ in UGC sponsored National Level Seminar at College of Education, Mumbai on 4th May, 2010. Resource perrson for Orientation Course conducted by Academic Staff College, Dr. Babasaheb Ambedkar Marathwada University, Aurangbad on the theme ‘Evaluation Reform’ on 24th June, 2010. Panelist on the subtheme ‘Evaluation Reform in Teacher Education’ in the UGC sponsored National Level Seminar at St. Teresa College of Education on 12th August, 2010. 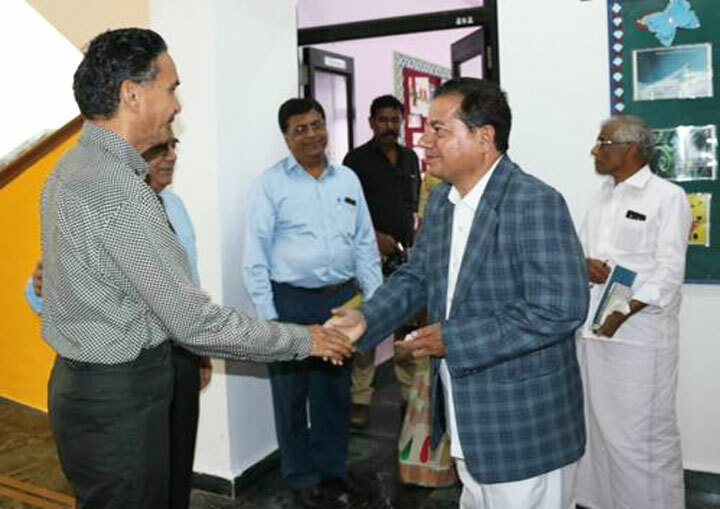 Interaction with the NAAC peer team as honourary Ph.D. Research Guide on 9th December, 2010. Guest speaker for one day seminar on ‘Project Based Learning and Allied Skill in Teaching’ at Pillai Polytechnic, New Panvel on 25th January, 2011. Chairperson for the valedictory session on National Level Seminar on “Access to Success: New Vistas in Management Education” at Pushpanjali College of Education, Thane, Mumbai on 29th January, 2011. Expert talk on ‘Teacher – A Barefoot Conselor’ for the National Level Seminar on “Counseling – A Silent Necessity” at H.B. B. Ed. College, Vashi, Mumbai. Participated and presented paper on “Examination Reform: A Cry” at the International Seminar of the Learning Community (Association for Learners) on “Innovative Practices in Education” on 18th and 19th June, 2011. Attended Refresher Course on Human Rights organized by UGC Academic Staff College, University of Mumbai from 15th October to 4th December, 2010. Participated and presented a paper on ‘Global Awareness: A binding force for Global Society’ at the Two Day National Seminar on ‘Empowering Learners in the Contemporary Society’ on 1st and 2nd April, 2011 at Pillai College of Education and Research, New Panvel. Conducted a guidance session on ‘Preparing NET/SET Examination’ for the Postgraduate students at Institute of Distance and Open Learning, University of Mumbai, Vidyanagari Campus, Santacruz on 14th May, 2011. Course material writing for M.A. 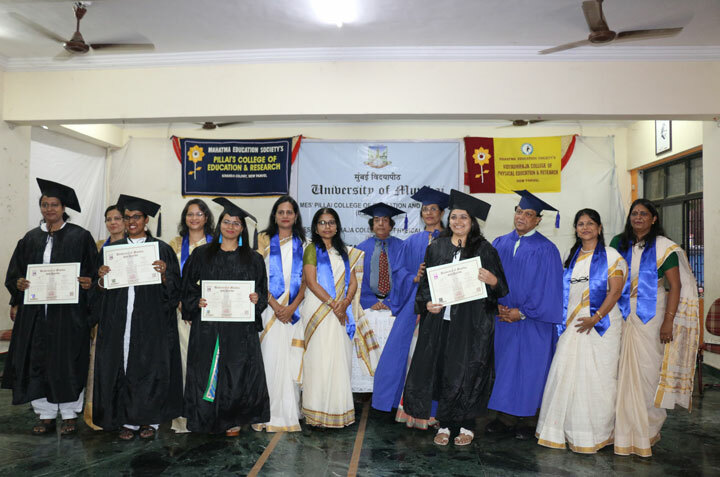 (Education) Part I Philosophical and Sociological Foundations of Education, IDOL, University of Mumbai. Attended and presented a paper titled “Self control in Adolescents and the Role of the Teacher” at the National Level Seminar on ‘Life skills Education- Impetus for a Human Society’ organized by MES’s Pillai College of Education and Research, Chembur, Mumbai on 8th and 9th October, 2010. Participated National Level Seminar on “Environmental Re-engineering for Enhanced Living” organized by MES’s Pillai College of Education and Research, New Panvel on 1st and 2nd October, 2010. 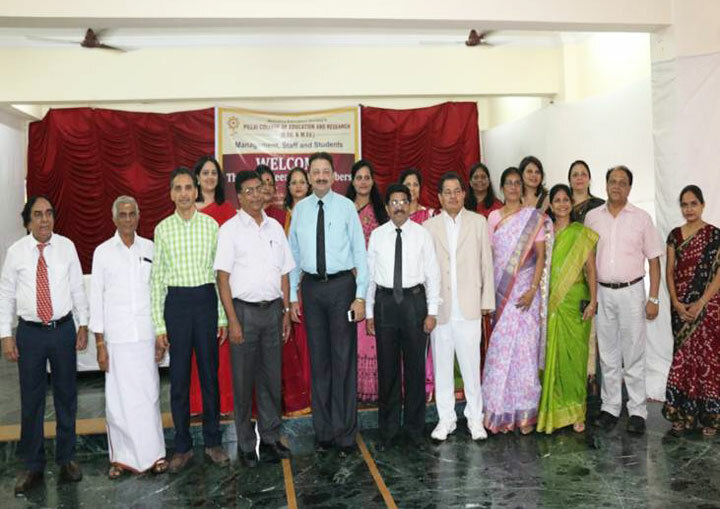 Participated National Level Seminar on “Empowering Learner in the Contemporary Society” organized by MES’s Pillai College of Education and Research, New Panvel on 1st and 2nd April, 2011. Attended Refresher Course in Education at Guru Nanak Dev University, Amritsar from 22nd June to 12th July, 2011. Published a paper entitled ‘Empowering Teachers for Institutional Development’ in the University News, January 2011, Vol. 49, No. 01.